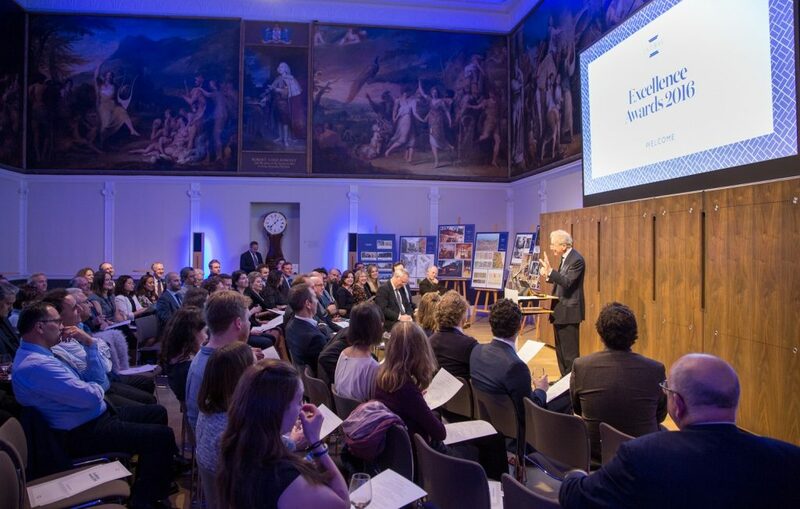 This year’s awards were presented at the Royal Society of Arts on 15th November, alongside the INTBAU World Congress. The second INTBAU Excellence Awards were presented on Tuesday 15th November to very deserving winners and highly commended entrants in four categories: new building; urban design; community engagement; and emerging talent. A special award for heritage was also presented in association with the International National Trusts Organisation (INTO). I join my jurors in applauding the considerable depth and breadth of this year’s award submissions. 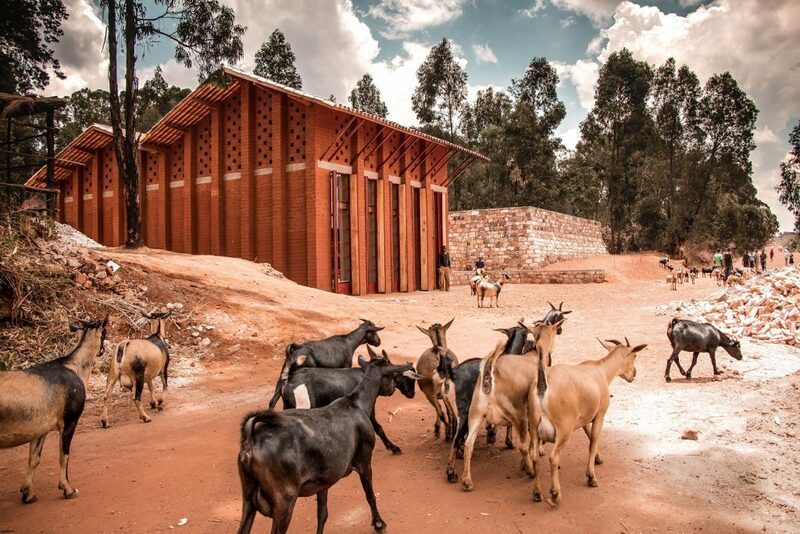 We found the projects to be thoughtful in leading by example in the use of traditional design, but we were also pleased to see the positive social activism and environmental responsibility that characterised many of the projects, reaching deep into the values of the INTBAU mission. We are enormously proud of our fellow INTBAU members and their global reach. 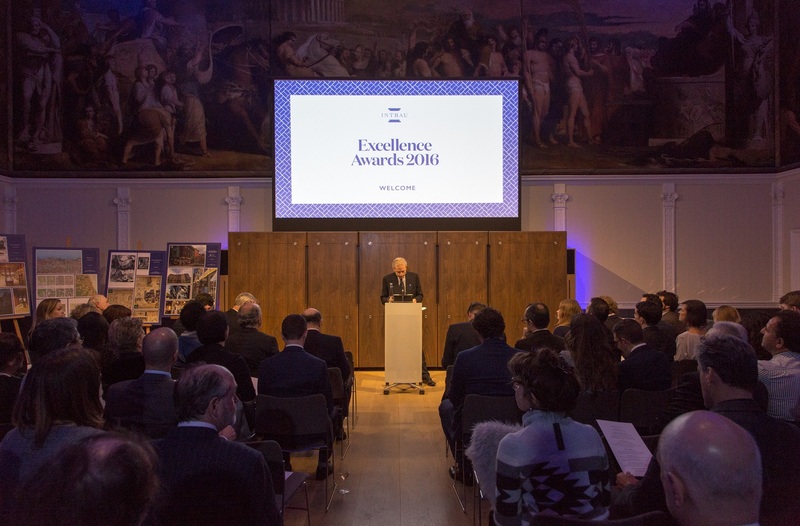 The awards ceremony at the RSA was hosted by INTBAU UK Trustee, journalist, and author Clive Aslet. Award presentations were made by Alejandro García Hermida (winner of the 2015 award for Community Engagement), Peter Oborn (juror, RIBA International), Jonathan Schifferes (juror, RSA), Michael Lykoudis (Dean, University of Notre Dame School of Architecture), and Catherine Leonard (juror, INTO). Their ‘alternative’ community-led proposal for an old sorting office has successfully submitted Britain’s largest ever Community Right to Build Order. Receiving huge support from the local community, the urban design consists of characterful mansion blocks and is mixed use and human scale. Fernando Vegas and Camilla Mileto for The Ademuz workshops, designed as a way of acquiring information on vernacular architecture in rarely-studied regions in Spain. JA Architects for supporting communities affected by river erosion in Bangladesh. Part of a future inclusive school for deaf children, the building process is based on thorough fieldwork of local materials, techniques and building typologies of the surroundings, and realised through community participation. 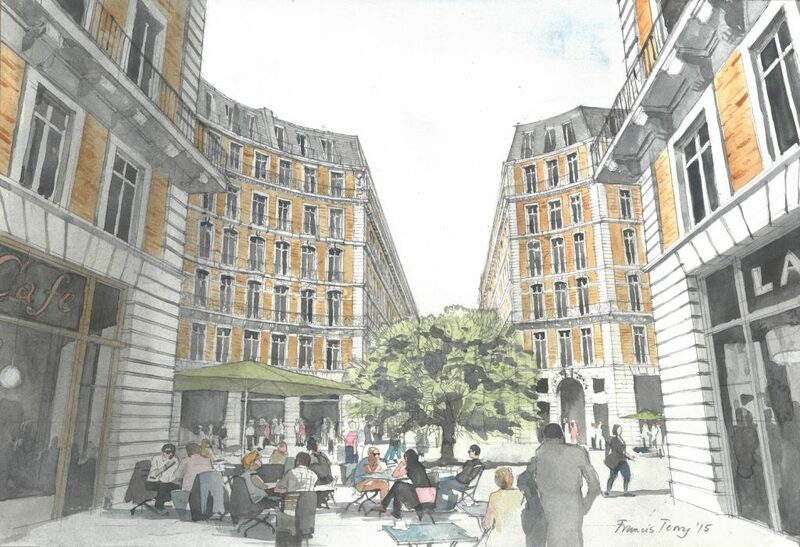 Stanhope Gate for their new context-sensitive apartment building in the Mayfair residential area of London. TAEQ with a ‘green’ building in Sakhnin by a collaborative Arab environmental organisation in Israel. 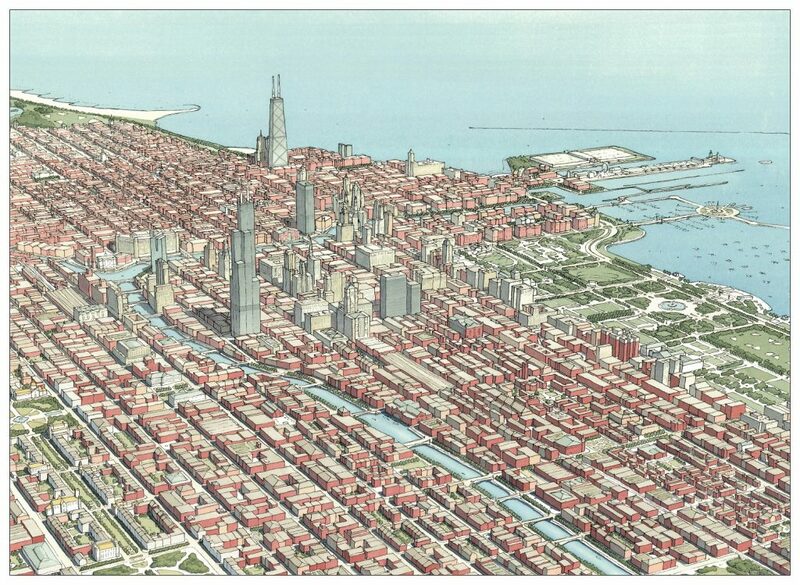 The Notre Dame Plan of Chicago 2109 contends that the broad traditions of humanist architecture and urbanism possess ample resources to solve many of the contemporary city’s most demanding practical and aesthetic problems. Chicago 2109 envisions a legible and humane metropolitan Chicago resulting from a holistic consideration of land stewardship, regional transportation, water conservation, waste water treatment, tax and zoning law, walkable neighbourhood design, durable construction, historic preservation, climate adaptation, and the symbolic content of urban form. David Mayernik for the Swiss campus of the TASIS American School. Ubaldo’s virtuosic research and drawing project catalogues the typology and construction of military and residential castles built in Southern Italy by Emperor Frederick II Hoenstaufen of Swabia between 1220 and 1250. These castles represent a unique fusion of architectural styles. 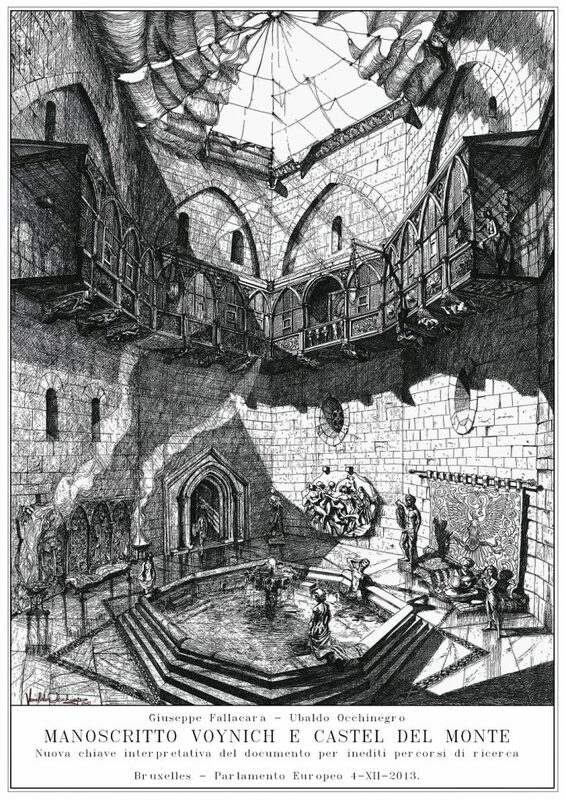 With their future looking uncertain due to neglect and lack of conservation, Ubaldo’s project provides both a useful record and drawn reconstruction, as well as being a work of great artistic merit. Helena Tunbridge for her project aiming to tackle the problem of waste disposal along the waterfront with the Reuse Pavilion in Agra, India. Thomas Greenaway for his unique ‘pietra dura’ commission of Richard III’s coat of arms for his tombstone in Leicester Cathedral. 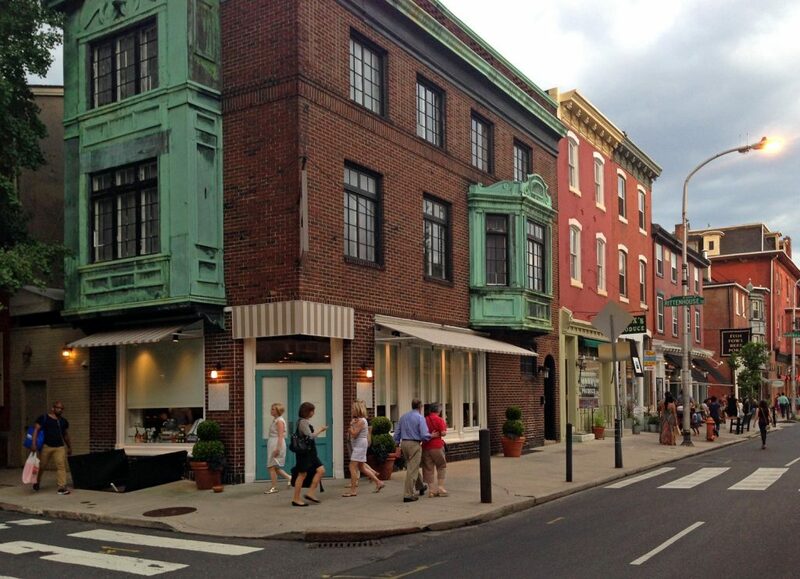 Presented to the USA’s National Trust for Historic Preservation, in specific recognition of their ReUrbanism programme. For more pictures from our honourable mentions click here. Our winners and honourees were also recognised at a reception hosted by HRH The Prince of Wales, held to conclude the week of World Congress events. Many congratulations to all of this year’s deserving winners. We look forward to inviting submissions for the 2017 INTBAU Excellence Awards!